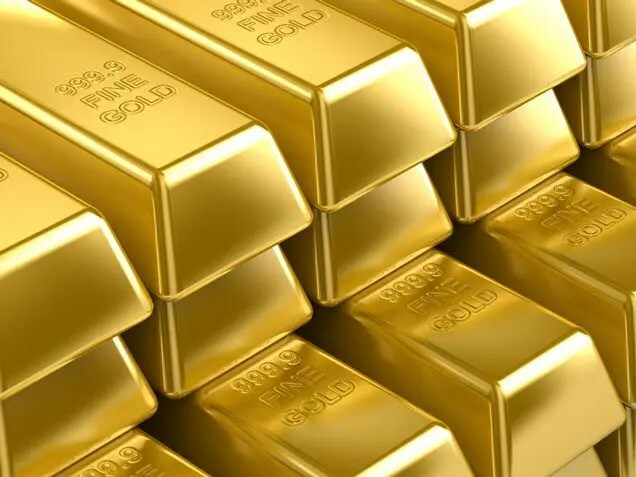 This article presents the key highlights in Ronald Stoeferle’s 7th edition of “In GOLD We TRUST” in which he takes an holistic view on the latest developments in the gold market laying out the fundamental arguments why the gold bull market remains intact and concluding, based on conservative assumptions, that the long-term price target for gold is $2,230. So writes Taki Tsaklanos (goldsilverworlds.com) in edited excerpts from his original article* entitled In Gold We Trust 2013 – Long Term Gold Price Target $2,230 which is a review of the In Gold We Trust report . “In the course of the recent gold crash, the market has once again demonstrated to holders of gold its tendency to maximize pain. The cascading price collapse beginning in mid-April had a standard deviation of more than five. Since trading volume was extremely high, the sell-off fulfilled all the requirements for a ‘panic low’. We think that the correction that has been in train since September 2011 exhibits strong similarities to the ‘mid cycle correction’ of 1974 to 1976. That phase was similar to the current one, especially with respect to the marked disinflation backdrop, rising real interest rates and extreme pessimism regarding gold-related investments. Since 2008 there have been more than 500 interest rate cuts around the world. Never before has there been such a low interest rate framework on a worldwide basis. Due to the level of debt reached in the meantime, the level of real interest rates is bound to remain negative, respectively low. This means that there is a solid foundation for future gold price increases. The gold mining industry is currently going through a major period of change. It appears as though the industry is in the process of altering its priorities. We believe that the new commitment to transparent cost reporting, greater financial discipline and shareholder value is a crucial – if quite late in coming – insight by the sector. From a sentiment perspective, gold mining stocks are probably “the ultimate contrarian play”. Furthermore, the correction that has been in train since September 2011 exhibits strong similarities to the mid cycle correction of 1974 to 1976. That period is similar to the current one specifically on account of marked disinflation, rising real interest rates and extremely high pessimism regarding investment in gold. Disinflation is being cited as an important driver for the gold price decline. The following chart shows a monetary disinflation. It represents the combined balance sheet totals of the Federal Reserve, the ECB, the Bank of England and the Bank of Japan. The long term downtrend of most currencies relative to gold has flattened recently. The following chart shows how the downtrend of the equal-weighted currency basket has moved away from its trendline. A similar phase was already in evidence in 2003 and 2004. Nevertheless, the relative weakness of gold versus the basket must be monitored closely going forward. Since August 15th 1971 – the beginning of the new monetary era – the annualized return of the gold price amounts to 8.95%. The real appreciation of gold versus the dollar amounts to 4.7% per year on average. The attractive risk-return profile can also be discerned in the graph below. What can also be gleaned is that productive assets – such as for example the S&P 500 Index – exhibit a stronger return over the long term than gold. In our opinion, that is definitely to be expected over longer periods of time, due to the value-adding characteristics of companies. In the short to medium term however, the risk-return profile can easily turn in favor of gold – especially in times of monetary policy uncertainty. OMFIF , a global think tank for central banks and sovereign wealth funds, argues in favor of a remonetization of gold. A growing number of initiatives demand repatriation and a credible audit of state-owned gold reserves. The demands for gold-backed bonds are growing ever louder. A study commissioned by the European parliament points out that gold-backed bonds would be far more transparent, attractive and fair for investors than government bond purchasing programs. Central bank gold purchases amounted to 534 tons last year. China is the most important critic of the dollar’s currency hegemony today. China wants to establish the renminbi as the dominant currency among emerging markets. This assumption is confirmed by statements made by Chinese officials. Western economies are not able to achieve surpluses even in times of economic prosperity. This is a systemic problem as compound interest makes debt grow exponentially. As soon as debt and debt service costs rise faster than income, the vicious circle of over-indebtedness begins. Currently the industrial nations continue to be faced with the highest levels of public debt in peacetime. In the U.S., the Government Accountability Office sees fiscal policy on a path that is intractable in the long term . The strongly declining marginal utility of additional units of debt can be seen in the following chart. While from 1947 to 1952, every additional dollar of debt still created $4.61 in GDP growth, this has declined to 8 cents since 2001. This also explains why stimulus programs can by now only produce anemic growth. As soon as the doses of debt are no longer progressively increased, and even reduced, the withdrawal symptoms will be painful. Going forward, financial repression in all its different facets is expected to gain in importance. That should be regarded as a terrible long term strategy, as it will only achieve redistribution and will not bring any solution to the problem. Exit QE according to plan (25% probability): Fed puts the brake on QE (‘tapering’), then stops QE and begins with the exit. QE tapering and stabilization (30% probability): Fed tapers QE, subsequently stops it, but leaves the balance sheet stable thereafter. QE continues (30% probability): The asset purchases continue for at least the next 24 months at the current level. QE accelerates (15% probability): Negative economic developments and/or problems in the banking sector result in an increase of the current level of QE purchases. Using the described scenarios and probabilities, the model calculates a long term value of $2,230 for an ounce of gold. The underlying assumption is that there will be a gradual increase of gold’s monetary role. 2. Noonan: Charts Suggest NO Ending Price Action In Either Gold or Silver – Take a Look! It would be most informative to learn what percentage of these shorts were naked shorts, because only the largest investors are allowed to use them, which puts all other investors at a huge disadvantage and can even lead to market manipulation, especially when buying PM’s for paper money that is being printed in ever increasing amounts!